On the back of persistent infrastructure and housing developments, the Pune real estate market has full potential to unleash several opportunities for investors and homebuyers in 2018. 99acres.com shares a list of key micro-markets across the city that are worth investing. One of the greenest cities of India, Pune has constantly been homebuyer’s choice when it comes to real estate investment. In the recent past, several infrastructure projects have been planned by Central and State governments to boost the overall infrastructure scenario of the city. Implementation of smart city projects in Pune is on track as well. All these infra projects and plans will offer a solid boost to the real estate market in the coming quarters. 99acres.com lists down most developing realty markets of Pune, which also qualify as lucrative investment prospects in 2018. Situated on the western part of the city, Wakad is experiencing tremendous growth in terms of real estate and infrastructure overhaul. Commercial structures are developing at a much faster pace too. The region is surrounded with reputed educational institutions including esteemed colleges. In terms of connectivity, Wakad is 21 km away from the Pune airport. The nearest railway station is the Shivaji Nagar Railway Station. For intra-city travel, the area enjoys different modes of transport such as buses, auto-rickshaws, shared autos, and private cabs. All these modes of transport offer commendable frequency and superior connectivity. Proximity to the Pune-Mumbai Expressway has provided a required push to the area. The Pimpri Chinchwad Municipal Corporation (PCMC) is developing a fully-functioning drainage system, 24x7 electricity and water supply. According to PCMC, Wakad has gained the maximum number of building permissions in the recent past. Wakad’s proximity to big IT companies including IBM, TCS and Tech Mahindra has encouraged a majority of employees to consider the place as their residences. With the average 'ask' rate of Rs 5,500 per sq ft, Wakad has ample residential options for homebuyers. Hinjewadi is one of the popular housing markets in Pune. Rapid development of various infrastructure projects has been considered as the primary reason behind its popularity as the residential hub. It is one of the biggest suppliers of rental accommodation in the city offering options at leasing price of Rs 14 per sq ft. However, monthly rental rates may vary as per the size, age of the property and its proximity to amenities. Property price appreciation has been significant in Hinjewadi as compared to many other locations in the city. Average 'ask rate' in Hinjewadi fall around Rs 5,600 per sq ft, depending on the type of projects, including amenities and specific location along main roads. Kharadi has extremely well-developed physical infrastructure and enjoys excellent connectivity to other parts of the city. Due to regular infrastructure upgrades and rapid growth of commercial developments in the vicinity, Kharadi will soon be considered as a remarkably vibrant real estate hotspot in Pune. The average capital prices may vary between Rs 5,600 and Rs 6,400 per sq ft. With a steady price correction in the last few years, Kharadi is among the ideal locations in Pune for developers, investors and homebuyers. Wagholi is another suburb situated on the Pune-Nagar Highway and has been witnessing ultrafast infrastructure development including real estate. In the recent past, the area has become one of the sought-after residential destinations among both investors and buyers. The residential property rates vary from Rs 2300 per sq ft to Rs 4500 per sq ft. Strategically located on Nagar Road offering smooth connectivity with the airport, Sholapur Highway, and the Shikrapur-Chakan Road, Wagholi has all the ingredients to attract a massive footfall. Social infrastructure development coupled with proximity to IT hubs and affordable housing market are the other influencing factors. In the last five years, a number of malls, shopping centres, hotels and multiplexes have been developed in its vicinity. 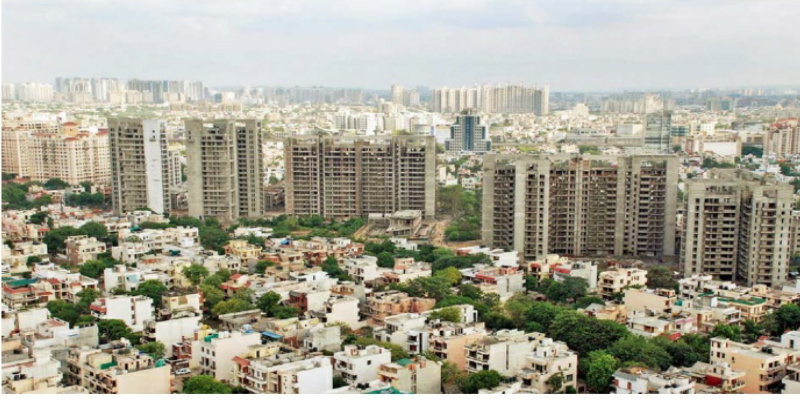 Hemant Powar, a real estate broker in Pune, claims that the property prices in Wagholi are cheaper as compared to neighbouring area including Kharadi. The appreciation rate of residential properties in Wagholi is close to five percent annually. New four-lane flyover linking Wagholi to Shikrapur will improve the market sentiments. Located off the Katraj–Dehu Road Bypass, Baner enjoys seamless connectivity via strategic road infrastructure and Pune-Mumbai Expressway, offering hassle-free travel to intra and inter-city commuters. The area also scores high on livability index due to a wide array of hospitals, schools, complexes and entertainment centers. Baner is in the process of becoming the next vibrant property market over the next few quarters backed by several infra projects and upcoming residential complexes. With capital prices averaging around Rs 7,000 per sq ft in the last quarter of 2017, Baner will soon become the most preferred micro-market in the city. Located alongside National Highway 4, covering the Mumbai-Bangalore route, Balewadi has witnessed a steady growth in terms of spacious residences in the recent times. Proposed infrastructure projects and civic amenities have propelled the real estate growth of the area. The Katraj-Dehu Road corridor crosses through Balewadi. The area is well connected to Pune via Baner Road. A bus rapid transit is also planned from the city's Airport to Balewadi. The Pune Smart City Development Corporation Ltd (PSCDCL) will soon develop its first state-of-the-art transit hub at Balewadi, comprising of a Metro station, a bus rapid transit system (BRTS) stand, and bus transit facility for both inter and intra city services. Presence of several good educational institutions have accelerated the real estate activities in the region. Several renowned developers are involved in constructing a number of residential projects in both the affordable and premium categories, providing ample choices to buyers. With several upcoming realty developments, Balewadi has full potential to become a prominent residential and commercial hub.